Lexus - $25 Off Any Service! When you need Lexus repair in San Ramon, come see our auto repair team for unbeatable Lexus service and Lexus repair. Our ASE certified auto repair team is equipped and knowledgeable to handle any repair or service issue regarding your Lexus. We provide auto service and repair for all Lexus vehicles, regardless how new or old they are. 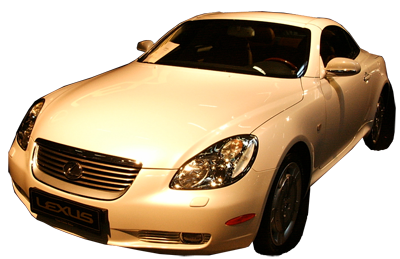 Over the years, we have provided Lexus repair and Lexus service to older Lexus LS 400 models, and have kept up with the innovation of the Lexus brand up to the latest showroom models. So, if you have a Lexus sedan, Lexus coupe, Lexus SUV, or Lexus hybrid that needs attention, bring it in to our auto repair facility for quality and honest Lexus repair and Lexus service. When you need quality Lexus service & Lexus repair in San Ramon from an auto repair shop that offers the highest quality workmanship, come to Valley Import Center. We offer shuttle services in a 15 mile radius from our auto repair shop while you wait for your Lexus service or repair to be completed.